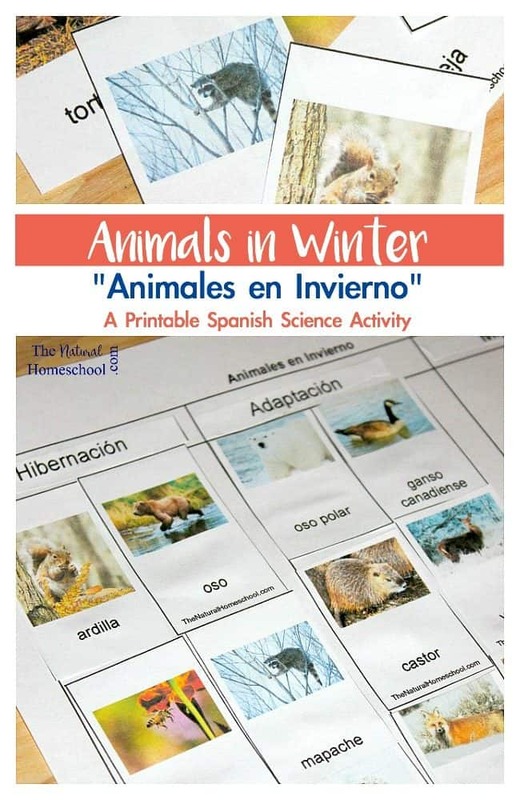 We had so much fun with our famous activity on animals in Winter that gives us an overview of hibernation, adaptation and migration (with printable) what we wanted to expand on it some more and go more in-depth with our unit. 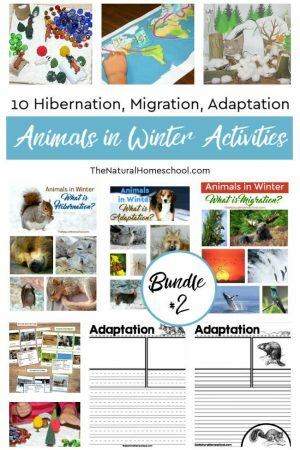 Here, you will find printable hibernating animals pictures and so much more! 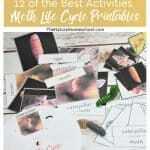 There are 23 beautiful cards! 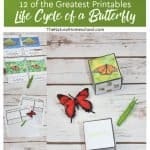 You can print them out and sort them, make a chart, research each animal that hibernates and why or simply print two copies in color (on cardstock) and then laminate them to play a memory (matching) game. 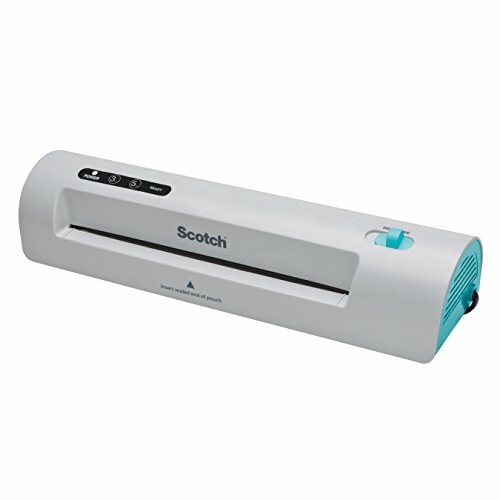 Laminating the cards makes the cards more durable. 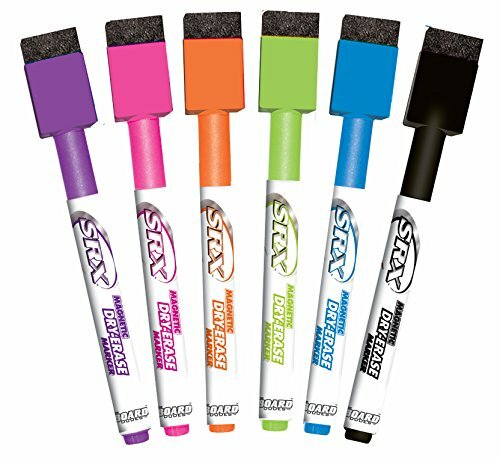 You can also use dry erase markers or crayons to make notes on the back, write facts or practice tracing the animal’s name. 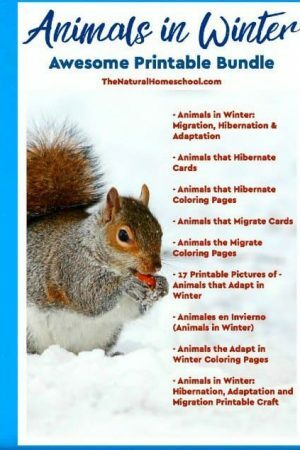 We are sharing with you some information about animals that hibernate in a list pretty complete list to give your kids a pretty good idea on which animals hibernate and it also gives you a long enough list to do some great research about each animal, its living and eating habits, etc. 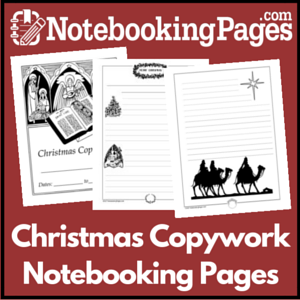 To help you with your research organization, you should try notebooking pages! 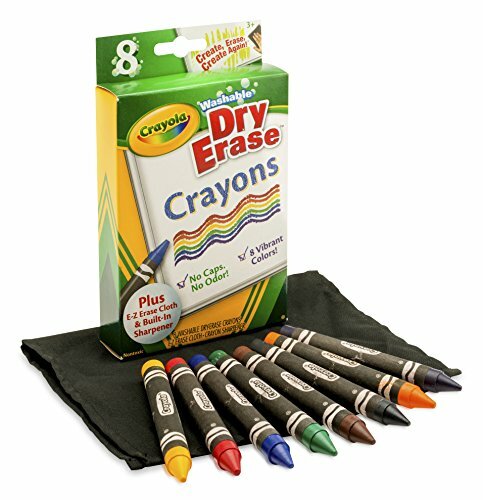 They are so beautiful and so fun to use! 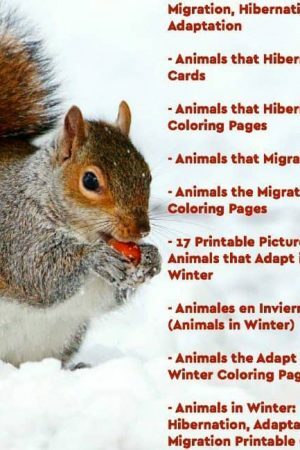 When you read the beginning of the list, you will have a pretty good idea of which animals hibernate during the cold winter. 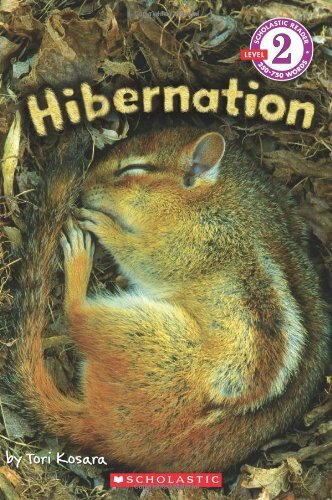 But did you know that some reptiles, some amphibians and even some insects hibernate, too? I’ll be your kids will be fascinated to find this out, too! 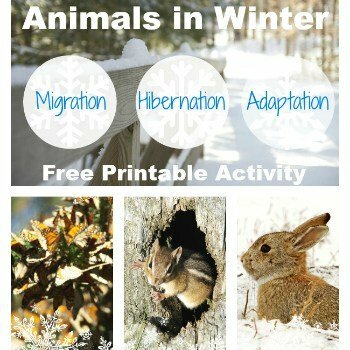 Take a look at the list of some mammals that hibernate during cold weather. We’ll list the rest in separate lists. 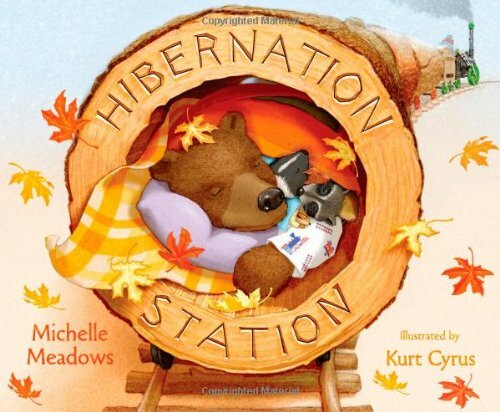 Here are more names and pictures of animals that hibernate in Winter. 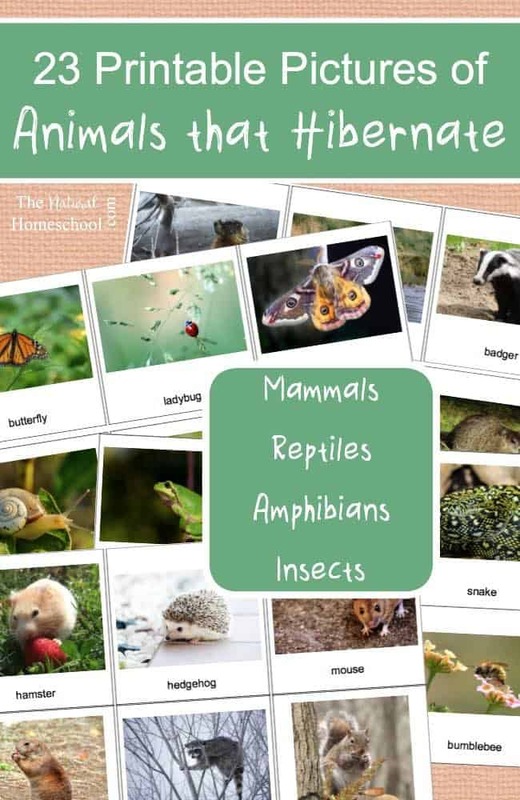 This time, we are listing a few amphibians and reptiles. 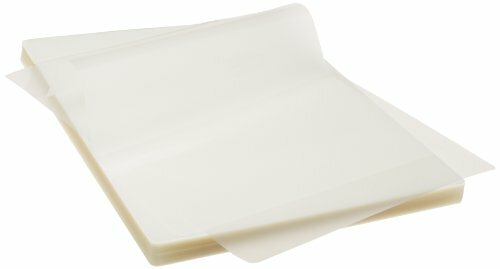 Are you shocked about these? 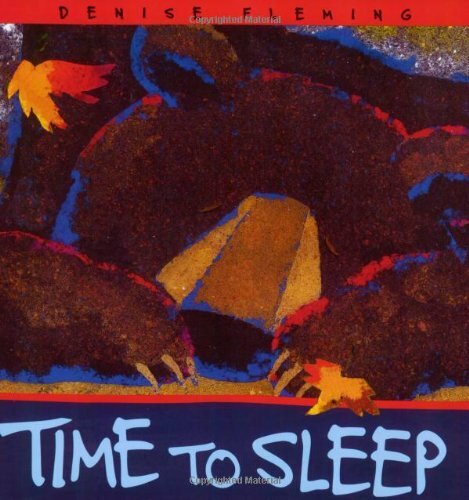 I made a short enough list for you and your kids to research about their living and hibernating habits. There are many fascinating animals that hibernate in winter, but insects that hibernate have got to be some of the most fascinating ones of all. 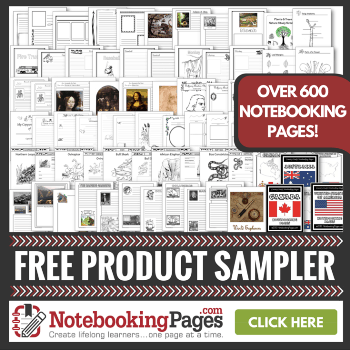 Take a look at the list and research about them! 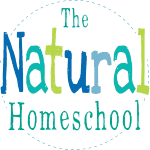 I think you will find lots of great information that will change the way your kids see these tiny creatures. 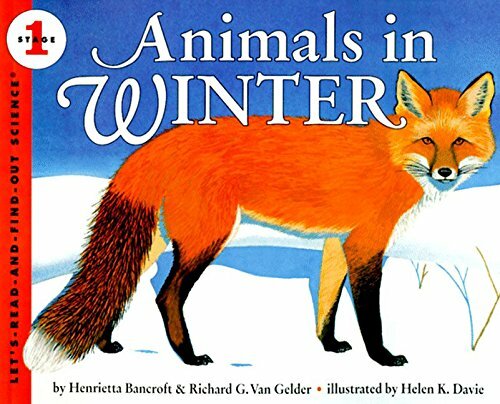 Read up on some books to get more information about this interesting Winter habit that is adopted by many animals out there. There are some fiction and some nonfiction ones. All are great. 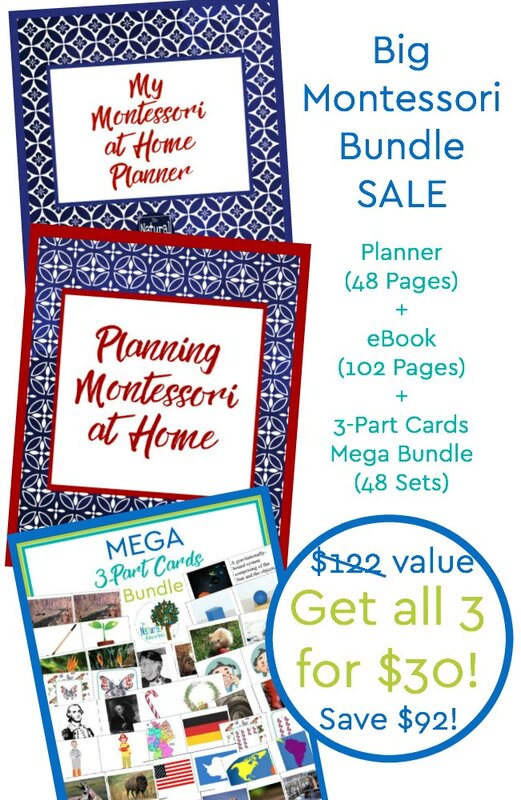 We just love books! 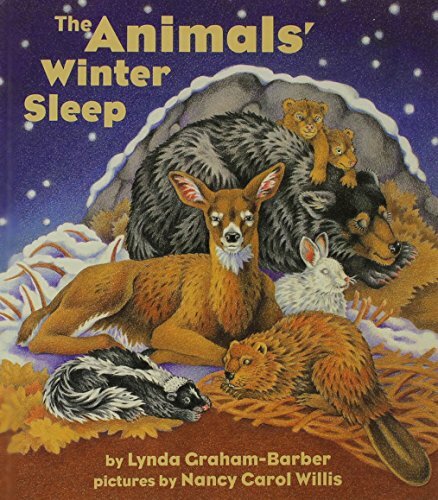 Here are some more topics to study, with the use of these books: true hibernators, deep sleep, heart rate drops, beats per minute, cold blooded animals that hibernate, temperature drops, do turtles hibernate?, do bats hibernate?, body temperature, etc. 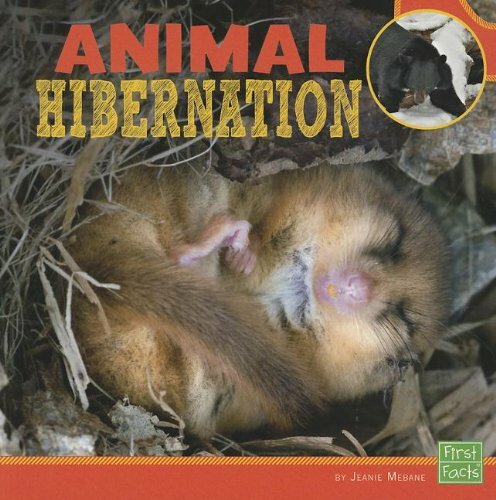 So, the printable comes with a list of animals that hibernate. 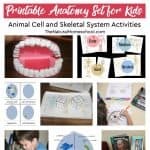 I included them in this blog post, but they are also in the printable so you can have an answer key to know how to categorize animals. 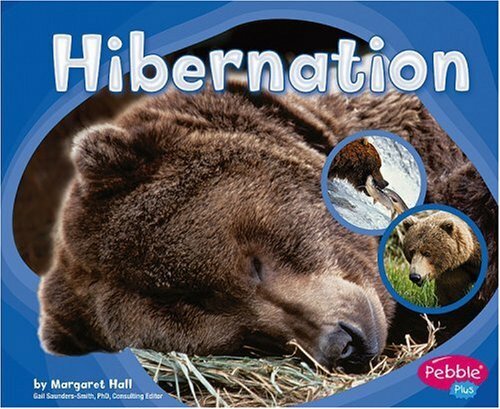 Each card has the name of animals that hibernate. 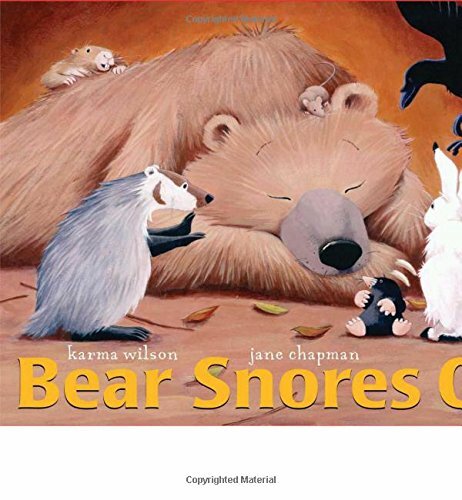 They will be great for recognizing the animals and their names. 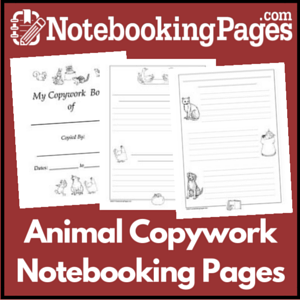 They can also be used to practice writing animal names. 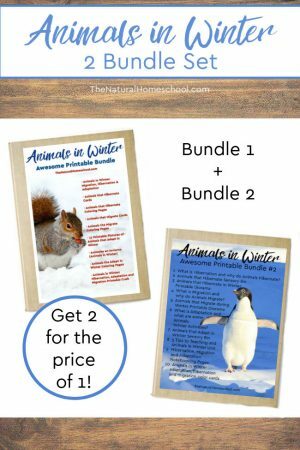 So, to get your animals in Winter printables and the file will make it right to your email inbox in no time! 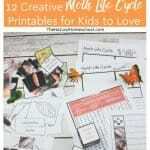 Here is a great set of printables that your kids will love! 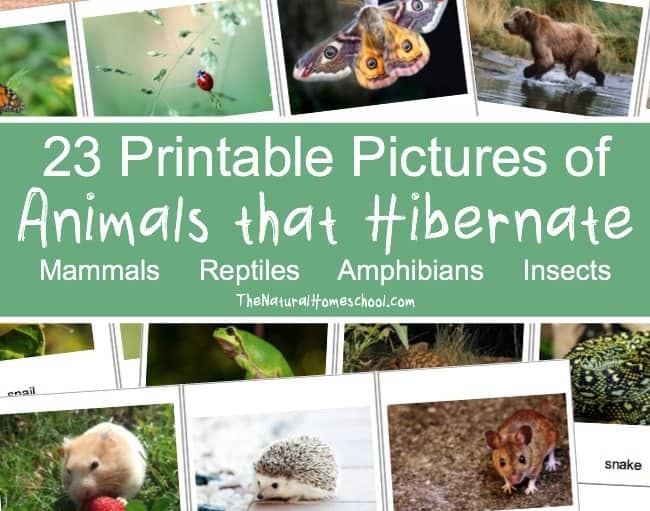 Thank you for reading our 23 Printable Pictures of Animals that Hibernate post! 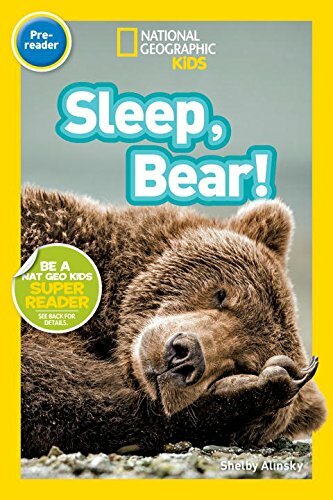 This is a great way to get kids familiar with animals that they don’t see every day. 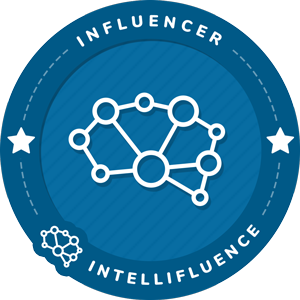 Thanks for linking up with us at #OMHGWW!